This Friday and every Friday for the next several months I'll be featuring a book in the Harper Perennial Imprint. Some were recently published, some will be released later this year, all are worth a closer look. Some of you know that I'm not a huge fan of short stories. 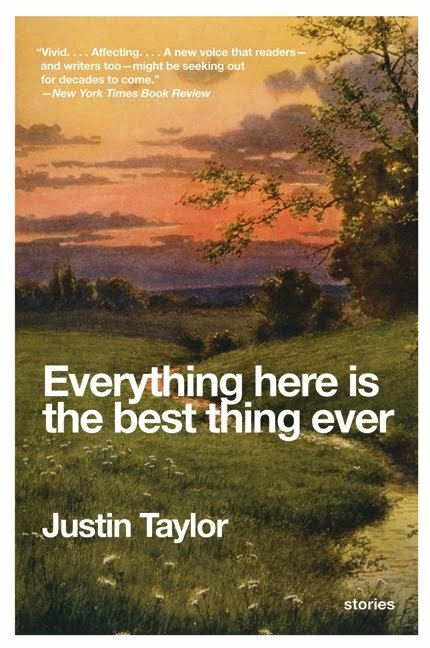 So you might be wondering why I'm featuring Justin Taylor's debut collection Everything Here Is the Best Thing Ever. Well, a couple of things: First, is this, from The New York Times book review: "Taylor’s real strength is his expertly drawn characters." Vivid characters are almost a sure win for me, so that one sentence caught my attention. Then I read the Publishers Weekly review: "Each story is spare and clean and speaks the truth in beautiful resonant prose." Oooh. Okay. I'm sold. Each story in this crystalline, spare, oddly moving collection cuts to the quick. Taylor's characters are guided by delusions and misapprehensions that quickly bring them to impasses with reality. Moving through this collection the reader will meet a young man who has reasoned away certain boundaries in relation to his budding, girl cousin; a high schooler whose desire to win back his crush leads him to experiment with goth magic; a man whose girlfriend is stolen by angels; and a Tetris player who, as the advancing white wall of the Apocalypse slowly churns up his driveway, decides that Death is a kindness. Fearless and funny, Taylor imagines this and more, in a collection that paints a dark picture of his generation--one that is upwardly mobile yet adrift, fumbling for connection but hopelessly self-involved. And it's all held together by a thread of wounding humor and candid storytelling that marks Taylor as a distinct and emerging literary talent. From My Books. My Life: "It is not a 'feel good' book. But it is very, very well-written. Taylor writes in sparse language more akin to Hemingway than Dickens but not really like any author I’ve read before." From Bri Meets Book: "Not all of the stories worked for me, but even in those that didn’t, there was a sentence that struck me with its unabashed nature, or beauty." From Good Books and Wine: "Stylistically, Taylor is excellent. The words just seem to flow off the page. This book reminded me a bit of Chuck Palahniuk's writing." From Hipster Book Club: "Everything in Everything Here is the Best Thing Ever may not be the best thing ever, but it’s the best debut fiction in years." To learn more about Taylor and his work, visit his website. This book was featured as part of my Spotlight on the Harper Perennial imprint. 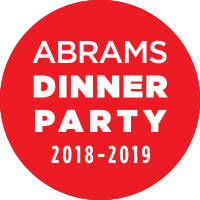 For information about the imprint, please read Erica Barmash's welcome note posted here on June 18, 2010. 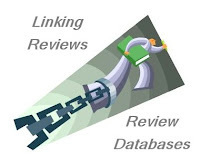 I encourage you to add your reviews of Harper Perennial books to the review link-up page; it's a great way to discover Good Books for Cool People. You might also want to visit the The Olive Reader, the Harper Perennial blog. spare and clean..yes, that wins me over too. and then, I actually like short stories. I have to check this one out. I thought I didn't like short stories either until I read Jhumpa Lahiri and now I'm much more willing to try them. I do enjoy short fiction, so I'm glad to be introduced to this new-to-me author! Up until a few years ago I pretty much ignored short stories, but now I find that they can be a welcome break from full-length novels. This one sounds excellent. I don´t read short stories for my own pleasure, either, but I may have to consider this author for my students. I am all about short stories. Love, love, love them ... and I love finding new collections by new-to-me authors, as this one is. Thanks for the review ... onto the wish list it goes! Thanks for featuring this book and giving a roundup! I love short stories, and I'll need my next fix soon.